Mount Difficulty Pinot Noir and Spy Valley Riesling. Montana Sauvignon Blanc and Cloudy Bay Chardonnay. Though the New Zealand wine industry really began only fifty years ago, vines and winemakers have now spread across the land – from Central Otago to Kumeu, Waipara to Wairarapa – to produce notable wines for New Zealanders and the world. For half a century, geographer and wine enthusiast Warren Moran has followed the development of the industry, talked to the winemakers and tasted the wines. In this book, he provides an unrivalled introduction to New Zealand wine: the climate, soils, and geography our winemakers work with; the grape varieties they have tried to tame; and the extraordinary personalities, families and companies who have made the wine and the industry. 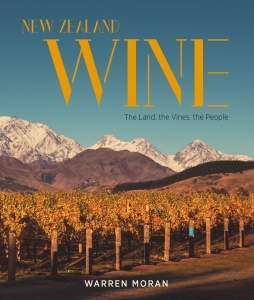 After introducing readers to the history and geography of New Zealand wine, this monumental book takes readers to each of the key winegrowing regions to tell the story of wines and winemakers in Auckland, Gisborne, Hawke’s Bay, the Wairarapa, Marlborough, Canterbury and Central Otago. Boy, this is such a book. Way more than just another book about winemakers or vintages. With topographical maps, detailed histories and personal accounts, this is more like a three dimensional journey into each region. The stories behind how we end u planting in Central Otago, just beyond Queenstown - places like Chard Farm - are extraordinary. Some of the stories involve the science of viticulture and some tell of the decisions made through good noses and intuition. Many of the earliest wine makers were from the Balkan regions, the Yugos and the Germans, who, like the Delegat family saw potential in the soil. And some were actually almost banished to the northern regions of Auckland, like Kumeu, to try to grow grapes among the apples and stone fruit. The story of Gimlet Gravels is another story of mixing science and intuition. Moran has worked with a number of wonderful map makers to show just how detailed the soil and climate is under each region and just what makes it special for each. I'm sure, when you visit a winery they talk up the various local features and what contributes to their particular vintage. That's what this book does best. It gives you that insight down to the macrobiotic level.. A book for wine geeks and wine lovers for sure. 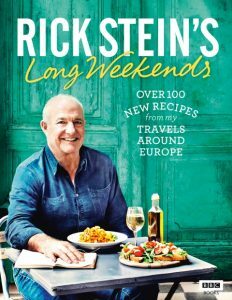 In his Long Weekend series, TV Chef Rick Stein takes us on some of his favourite destinations for a long weekend including Bordeaux, Berlin, Reykjavik (Iceland), Bologna and Vienna. Expect the usual fabulous local markets, local restaurants and in true Rick style, a few wineries along the way too. I wonder how we'd do this post-BREXIT! Either way I'm jealous of the Brits who can just pop over to these places on a whim. For us, it's a lifelong dream and a massive airfare to get there. Still, shows like his BBC series Venice to Istanbul are both informative and deliciously adventurous. His new book certainly sums up the new series well with plenty of notes before each recipe on how he discovered each dish or how the locals should have it - in TV world, of course. The easy ones are things like Spagetti Alla Bolognese, which is a mix of tomatoes, tuna flakes and Parmesan cheese. Definitely not the SPAG BOG conncoctions we make here at home. Even so, I always thought the famous dish was meat, carrots, celery, onions and tomatoes. Who knew there were other versions? There are other different dishes, too. Some include local ingredients that you can get in the UK but not here, like Sardines. But others you can approximate like Icelandic BreadedLamb Chops and spiced red cabbage. The cabbage includes blueberries, the only really point of difference. Some ingredients like cod and sea bass can be swapped with warehou or even terakahi and we can throw in good quality frozen prawns of even fresh clams. We can't get proper Serrano Ham - for Flamenco Eggs with Tomato and Serrano Ham - but we have some pretty good approximations these days. This book covers entre's, mains and deserts from a 'day of the week' point of view. Friday's are quick, Saturday's a bit longer and Sunday's slow, time for the family, etc. It's also broken up into a chapter for each location, so you can cook something French one weekend, something Scandinavian the next and so on. Finally, the back section is also a brilliant wee collection of 'Extras' : a good chicken stock, vege and beef stocks, a trick with saute potatoes, Beurre Mane, Sourdough Starter and a whole lot more. The photos alone will make you yearn to update your passport and book one of those European river cruises or a cooking tour. They are great and match the dialogue brilliantly. A brilliant book, if slightly a fantasy for most of us. At least we can cook for our dreams. 7.5 magnitude earthquake/power cut in NZ takes Groove off-air this morning. We were off-air for over 12 hours earlier today after a 7.5 magnitude earthquake struck the South Island of New Zealand near Hamner springs at 12.02am NZ time. Our studio is based in Wellington but the power was cut for most of the night and we temporarily evacuated after hearing Tsunami warning sirens at about 2.30am. Tsunami waves ended up being 2m - 5m and were not a threat to our area in the end. 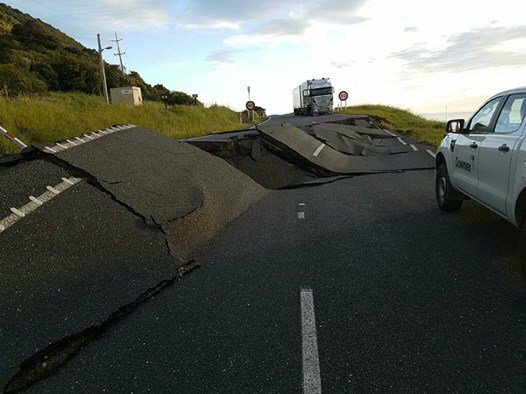 There has been damage to buildings in Wellington and the South Island and 2 people are known to have died as a result of the earthquake and aftershocks around the country. Currently there is damage to Ferry wharfs in Wellington and Picton so at this stage no Ferry's or trains are running but luckily there are barely any reports of people being injured. The moon is the closest it has been to the Earth in about 60 years over the next couple of days...will there be quakes in other parts of the world? It pays to be prepared with spare water and food, torches, battery radio's etc.